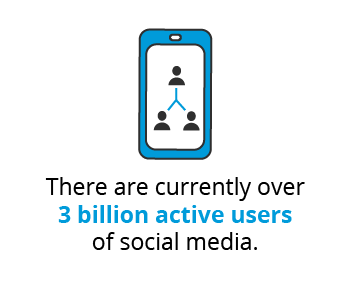 There are currently over 3 billion active users of social media.1 Your ability to tap into this powerful marketing channel to support brand awareness, lead generation and crisis management will ensure you reach the right people, recognising your role as a Social Media Specialist as a vital business tool across a variety of brands and industries. Want the expertise required to take the lead of a social media marketing strategy? Learn from Kiara Havenga, Head Tutor for the UCT Social Media Marketing online short course as she answers six of the common misconceptions businesses, managers and marketing professionals still carry about social media marketing today. Social media marketing should form a part of, and complement, an overall digital marketing strategy. Social media should be seen as one digital marketing component, along with other elements like pay per click advertising, websites, apps and SEO. The role of a Social Media Specialist is certainly different to that of the Digital Marketing Manager or Digital Marketing Strategist and knowing how social media marketing management role can work alongside and be applied in a variety of marketing environments is the key to gaining the best results from the channel. 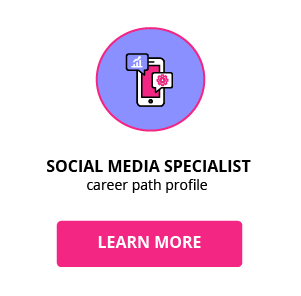 Discover what the key responsibilities, earning potential, and training requirements you need to become a Social Media Specialist. As with most things in life, if you fail to plan, you plan to fail. Using social media to market a brand or business when there isn’t a strategy in place, will not only be a waste of time and resources, but it could also be damaging to your brand. The social media landscape is growing by the day, making the need for a comprehensive strategy, with clear goals and objectives, a necessity. By avoiding an ad hoc approach you’ll be able to plan and execute a campaign that encourages engagement and reaches predetermined social media marketing goals. 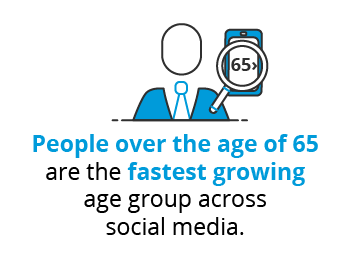 Currently, people over the age of 65 are the fastest growing age group across social media. There may be certain platforms where the general demographic is younger, but the popular platforms like Facebook and Twitter continue to see a significant rise in older people becoming active social media users. Social media marketing has evolved to a point where ROI can in fact be tracked and measured. This is where establishing goals, quantifiable objectives and KPIs is absolutely key, as it provides you with a clear set of metrics to measure your social media marketing efforts against. These metrics can be continuously tracked, and then measured against your goals, objectives and KPIs to determine the ROI. It’s very important for Social Media Specialists to be able to show how their efforts are adding to both the business bottom line and the social media presence a brand is garnering. Your ability to tap into the analytics of Social Media, produce reports and present your findings will ensure your social media skills are recognised within your marketing team or organisation. A brand or business should only have a presence on social media if it makes sense to their goals and objectives. Having a presence on the wrong platforms can not only be ineffective, but it could have a negative impact on the brand or business’s reputation. Knowing how to navigate the social media landscape and identify which platforms offer the best solutions to your business’s objectives is a task best assigned to a Social Media Specialist or to a marketing team member with experience across the channels. Yes, putting your brand or business out there will always expose it more to both criticism and praise. But with good online reputation and community management strategies in place, providing users with a platform to engage with your brand in a genuine, real-time manner can be the most powerful form of marketing for your brand or business. It’s also very important for companies to consider investing in a social media course to equip their employees with the know-how to manage a social media community. With the broad scope of both positive and negative commentary that a business or brand can be exposed to, you’ll need to know you have the best social response team ready at all times. Want the social media marketing skills to challenge these misconceptions within your current role or industry? Register for the University of Cape Town Social Media Marketing online short course.